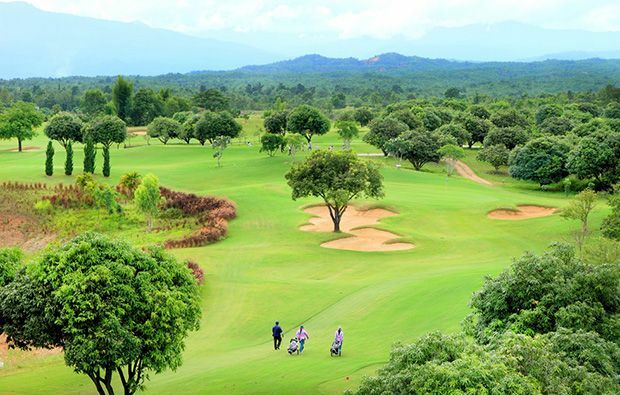 Located around 40 minutes from downtown Chiang Mai in beautiful natural surroundings with mountains in the background with plenty of mature trees and the odd water hazard – it makes for a really enjoyable day out. The course offers a reasonably easy start and the front nine begins with a benign par-5 and a couple of easy par-4s, but don’t be lulled into a false sense of security as things get more difficult especially on the 4th which is along par 3 with a larger bunker in front of the green and water along the left. The 7th which is another par 4 demand great accuracy as there is a water carry off the tee to a narrow landing area with bunkers both sides followed by an approach over water to a narrow green. On the back nine the 11th is a long par 5 with a bunker stretching from tee to green and water protecting the right side of the green. The 12th is a relatively simple par 3 but don’t get lulled into a false sense of security because the finishing holes starting at the lengthy uphill par-4 15th are lying in wait to wreck your card. The 16th is a tough downhill par-3 holes. 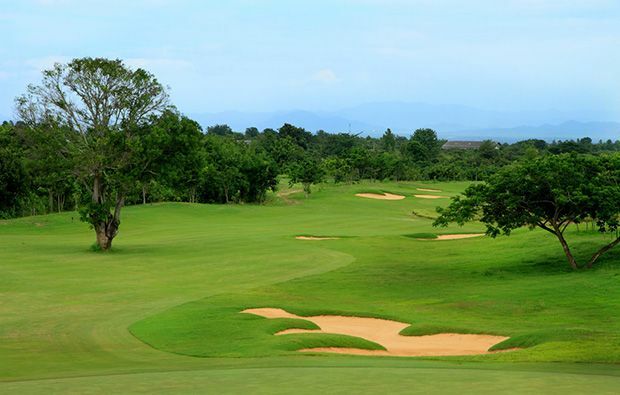 The finishing holes are very scenic and the 18th offers a blind tee shot with dense jungle along one side of the hole followed by a downhill second requiring pinpoint accuracy to enable you to tackle the water-protected green. The course is in good condition and the open-air clubhouse has everything you expect and you can discuss your round over a beer whilst watching the sun go down over the mountains. They have a hotel on-site if you would like to stay overnight. 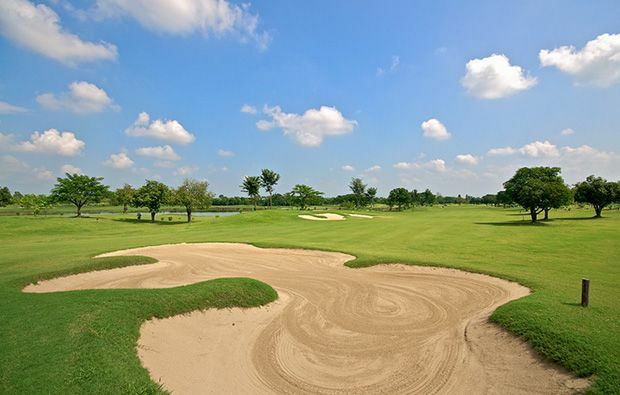 If you want to book tee times at Chiang Mai Inthanon Golf Resort then select the date and time in our booking engine and it will display the green fees on the day you wish to play. 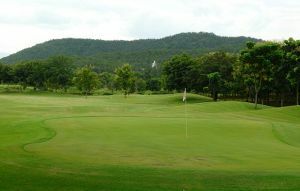 Accommodation is also available onsite so we can also design a golf holiday package at the Chiang Mai Inthanon Golf Resort. 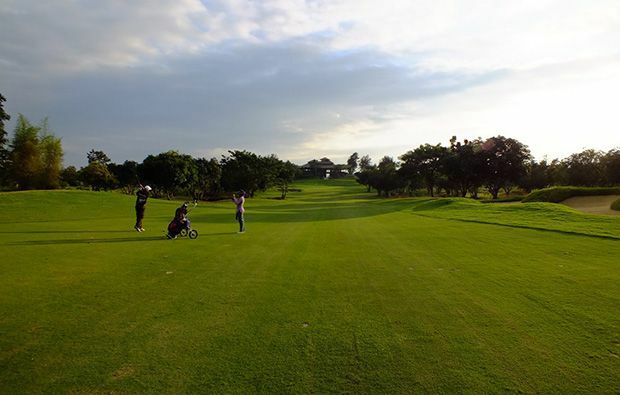 Chiangmai Inthanon Golf Resort has different Services to offer. Choose a date and number or players to see the rates.